That I like single wall shelters in all seasons isn’t a secret. And that I like pyramid shelters neither. 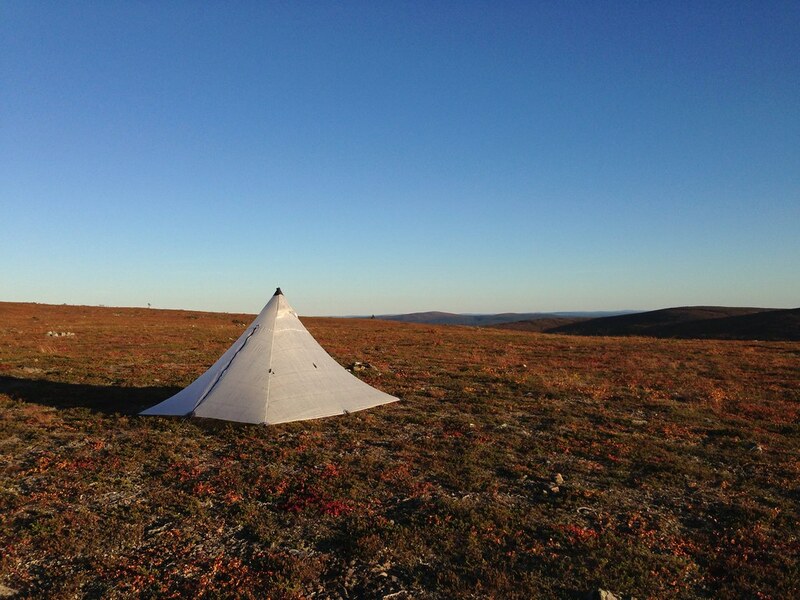 So as Hyperlite Mountain Gear said they’re going to send me an UltaMid 2, I was very much looking forward to trying this very spacious cuben pyramid shelter here in the north. Attention! All photos in this post are from an early Proto-type and the final design has changed a few details from this one. I will highlight these in the article where appropriate. 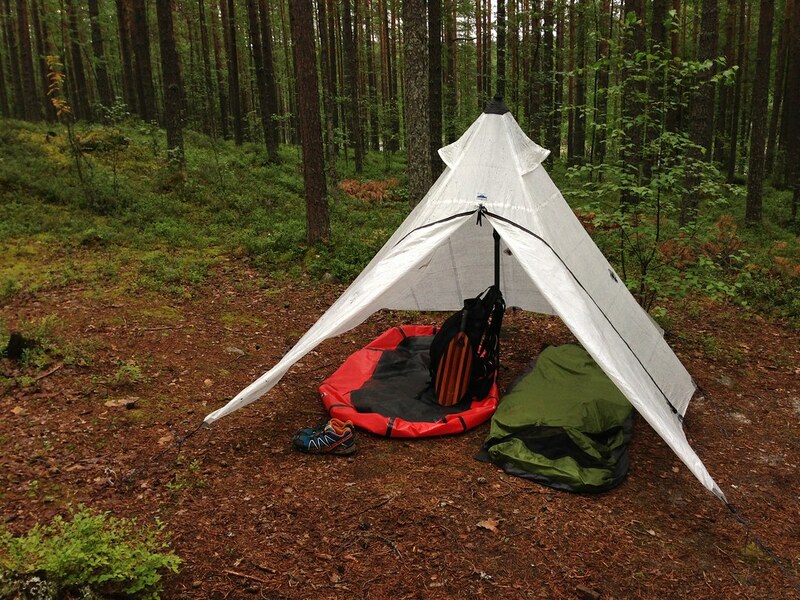 The HMG UltaMid 2 arrived in May and has been used on packrafting and backpacking tours, climbing weekends and hiking in Lapland. All in all I have slept over 15 nights under it, in the rain, wind and also during calm nights. 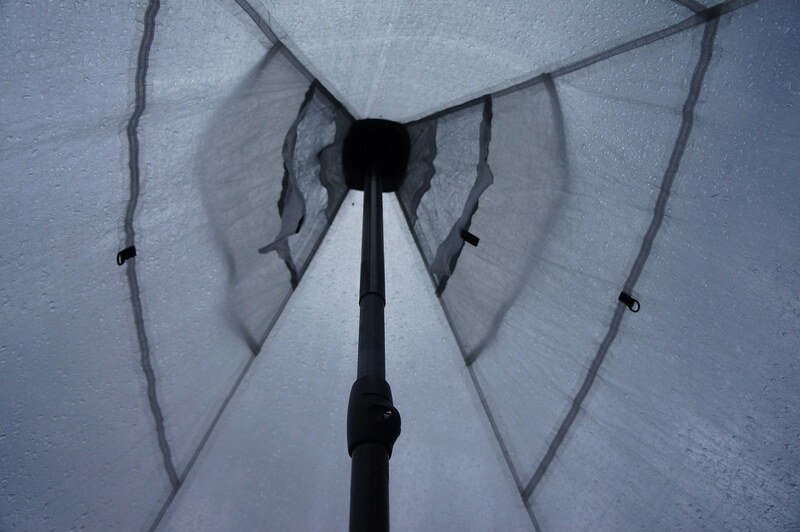 As with other shelters, its function is to protect you and your gear from the elements. While on sunny, calm summer nights and days that’s not really needed, add in wind or the need for privacy and a shelter is useful to have along. Add in rain or snow and a dry place for sleeping, eating, and lounging looks very inviting indeed. It’s HUGE. It has a very large footprint - about 270 cm long and 210 cm wide in my prototype - so should even offer tall people a very good amount of space to lay down without bumping into the walls. Add in the recommended pitching height of about 160 cm and you can already imagine that this is a shelter which offers a very large amount of space. If it’s good weather you can even pitch it a bit higher for lots of height and the possibility to dance around the pole. The production model comes with all the bells and whistles you could wish for: Line Locs for easy adjustment of the guylines, a Zipper Garage at the top and a Zipper Strain Relief buckle at the bottom. My prototype doesn’t have these, but I don’t miss them either. The zipper itself is of the waterproof-kind and is two-way and is easy going. It is placed on the short side, in the middle, which is a unique place as zippers often are placed on the long sides. 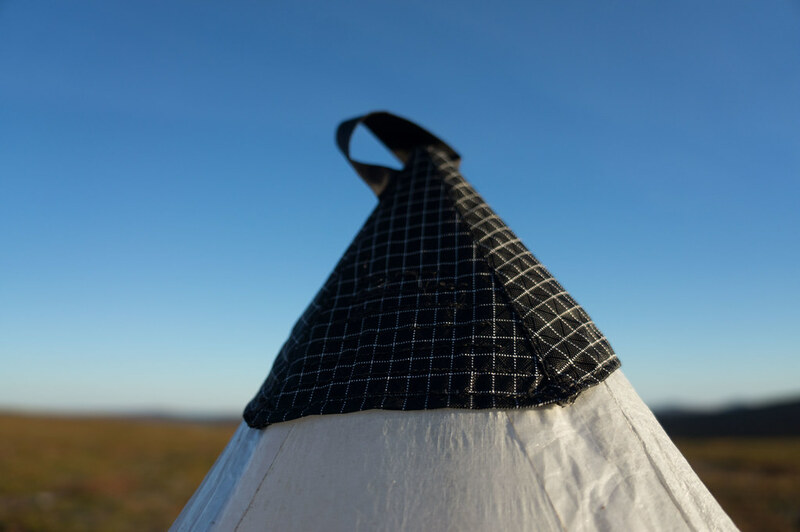 The top has two vents with no-see-um mesh to keep insects out, and they can be closed, too - useful in vertical rain situations where the wind could drive the rain inside. Or snow. The door can be opened completely and stored away neatly with the buckles, which is perfect for calm evenings where you want to enjoy the views with some wind protection. 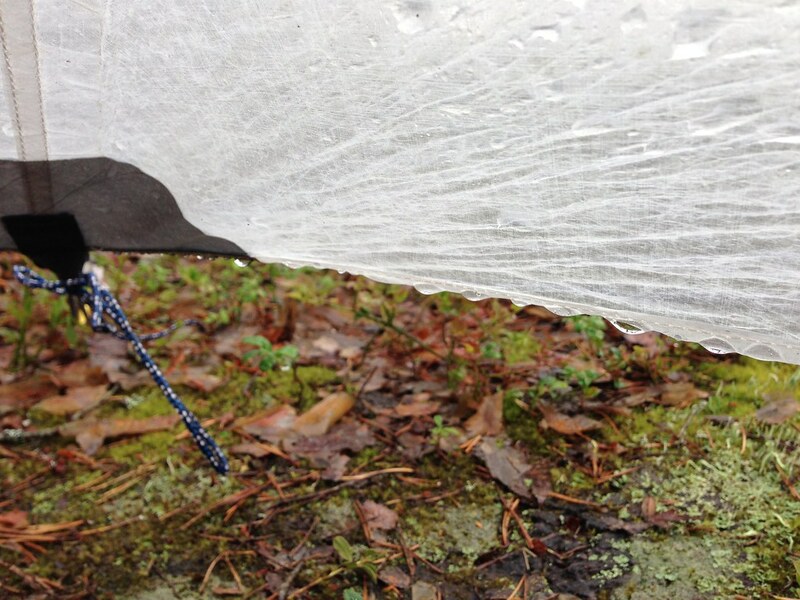 Making such a large, durable shelter from cuben is an innovation, I’d say. By now you hopefully know that HMG not only stands for ultralight, high quality gear, but that their kit is also durable. My prototype was used by others before me, and has been put through the paces by me and friends since. 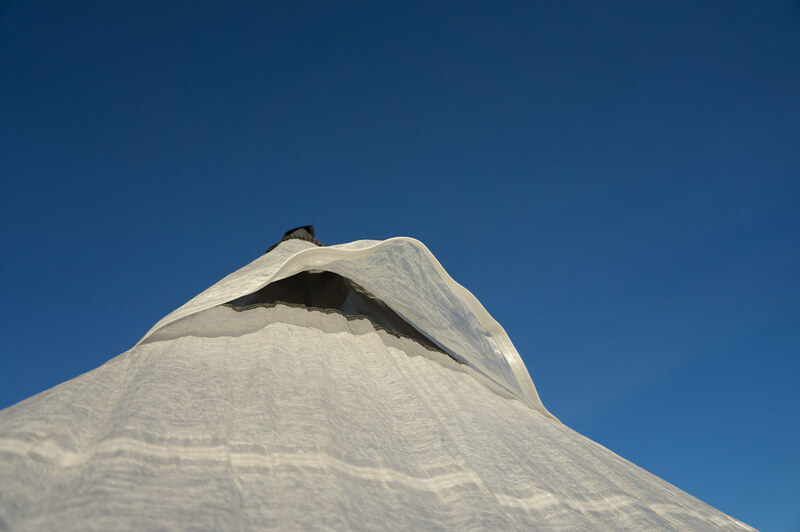 Except cosmetic looks - the cuben isn’t as white anymore as it was when new - it’s still in great shape and doesn’t show any signs of weakness. The zipper still runs smoothly and all seams and tie-out points are still strong. Speaking of the seams, they are a mix of bonded and sewn: The large panels are sewn and taped, while critical seams like at the top and at the tie-out points are reinforced for extra durability. The top itself is made of Dyneema, and HMG says it is special as it will not deform. As I only have used poles and paddles and not skis I can’t comment on that, but it’s a sturdy design. It even has a loop on the top from where you could hang it from a tree, for 100% pole-free space inside! It’s made from CF8 – ct2k08 cuben, which offers good durability and still is very lightweight. 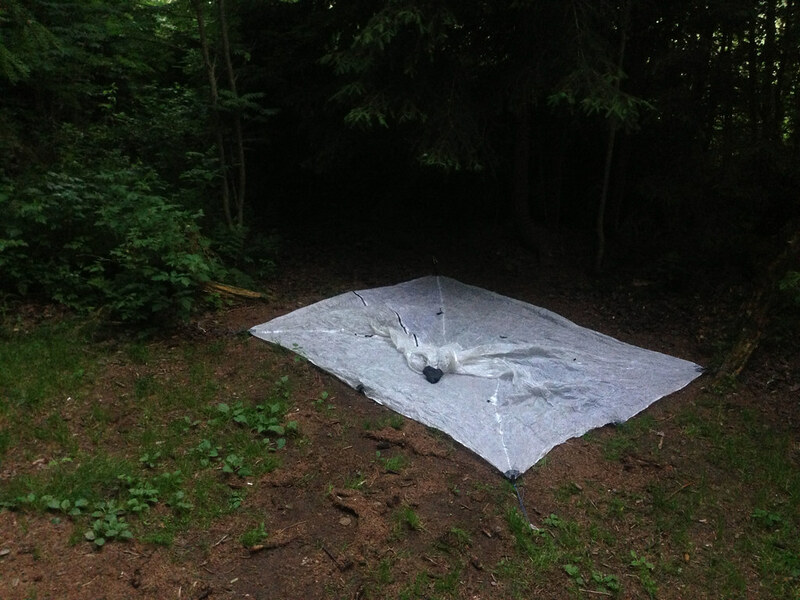 The material is 100% waterproof, doesn’t absorb water and small rips are easy to fix in the backcountry - I fixed other cuben kit with just a patch of Duct tape. My Prototype UltaMid 2 weighs in at exactly 499 g including guylines. That’s 100 g more than my LOCUS GEAR Khufu Sil but the UltaMid offers a lot more space. I imagine if switching to less burly guylines some additional weight could be saved. The packsack it comes in weighs 15 gram. Cuben is a very expensive material, so you can be sure the HMG plans very carefully how to cut the material up for mids, Tarps, stuff sacks et al. to minimize scraps. As the UltaMid 2 arrived, I first thought HMG sent me the wrong Mid (they make a 4 Person Version). The shelter was so large that I was sure that there must have been a mistake. As I took it out to make a test pitch, I realized that HMG did indeed send me the right UltaMid, but that the 2 Person version is MASSIVE. I can fit an inflated packraft in there and lay down on it, or on the other side. Or spread out all my trad climbing gear on one side, while my sleep system is on the other side. Obviously thus that two people and their gear will fit in there just fine, and won’t feel that they’re too close as it could be in other shelters. 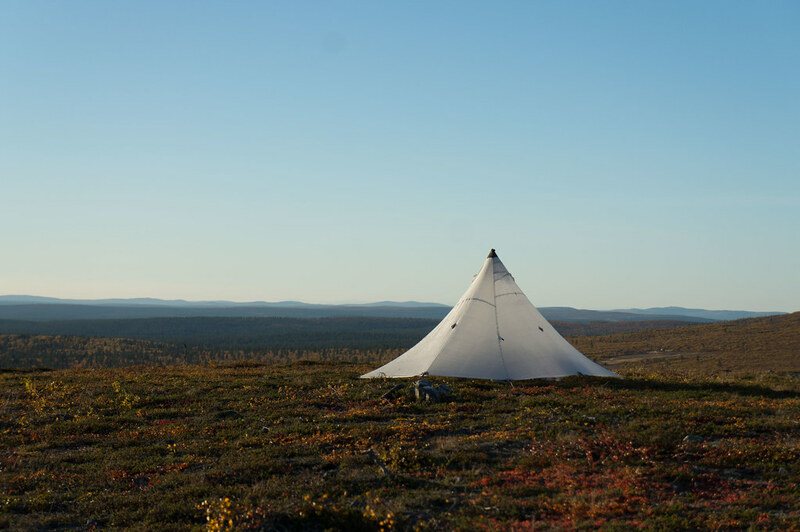 As with all pyramid shelters, preparation is key for a good pitch. Staking the UltaMid well out, in a good square, will make it go up perfectly. If the long sides are not aligned, or straight, it will be askew - easiest to then take the pole out again, align the sides correctly, and insert the pole again. Then you can go and stake out the mid tie-out points, and adjust the corners if needed. 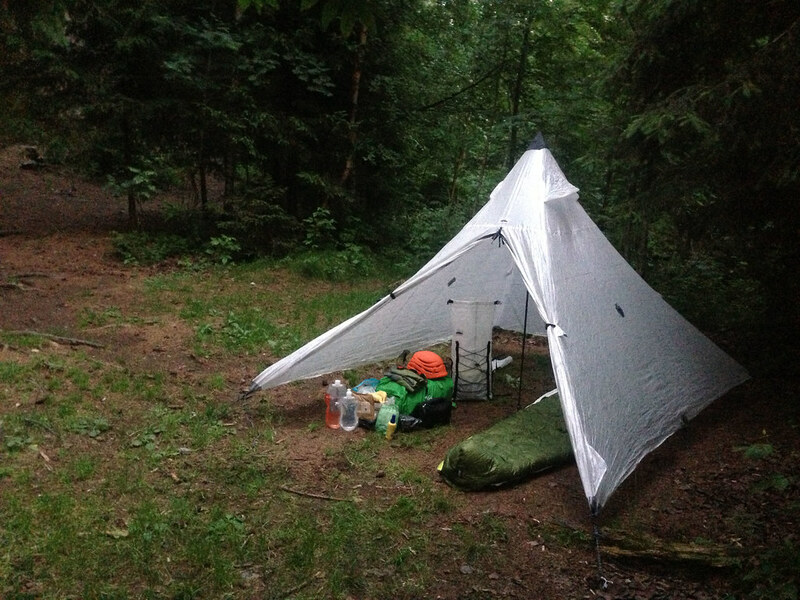 Speaking of poles, I have been using the fantastic Ruta Locura Yana poles and my Sawyer paddle to pitch the UltaMid. Three sections of the paddle do the trick, you then can adjust the length of the paddle for the height you want. Same goes for the Yana pole, I use three sections and with it I can pitch the mid very low or very high. 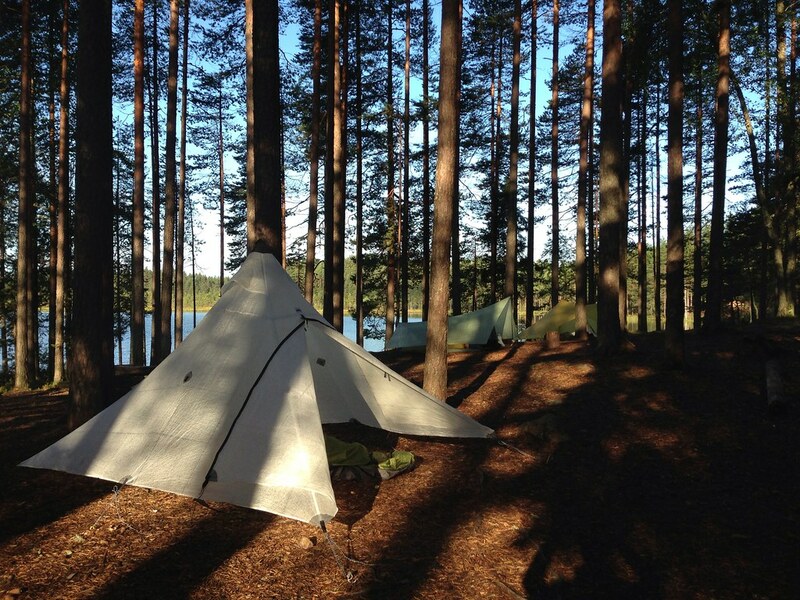 If you use trekking poles and want to get the UltaMid, get the Yana Poles! If it comes to packing, folding is the way to go. 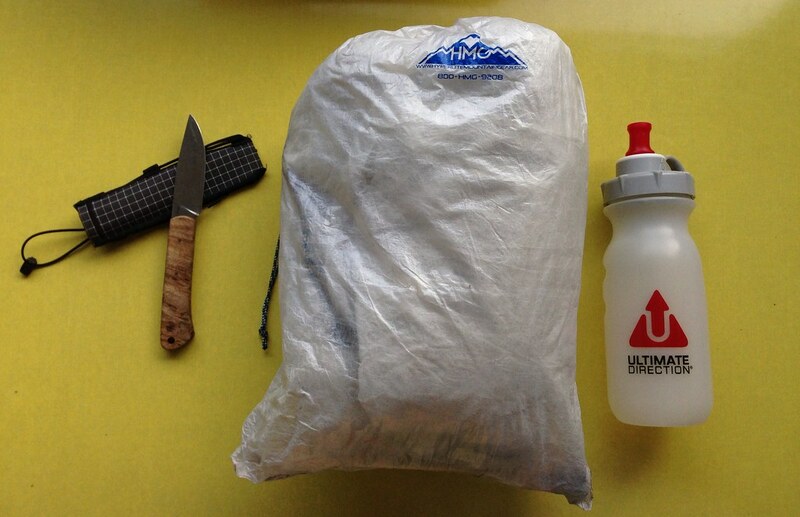 I have just stuffed the UltaMid into is supplied cuben stuff sack, but it is difficult. Somehow the top hat makes the packing for me not easy, but if the whole shelter is nicely folded it goes in with plenty of room to spare. That said, you can stuff it in there, but then the package will be more bulky. I really liked the placement of the zipper, and how wide you could open up the doors. As the zipper is placed on the short side, you enter the shelter from the “front” or “back” depending on in which direction you sleep. It makes getting in your bivy or inner very easy in my experience, and makes it easier to keep the shelter organized - one side for sleeping, the other for gear. In shelters where the door is on the long side, you often have the gear before or behind your sleep system, this works but the UltaMid certainly feels more organized. I’m a bit torn about the guylines on the UltaMid. On the one hand they work very well - they’re long enough to use them with rocks or for high pitches, but on the other hand they’re pretty heavy. I wonder if using thinner lines would mean a sacrifice in usability? Something to try in the future. Saving some weight will be nice, too! Hanging a bivy inside is also a bit odd. There’s two D-Rings on the side, but none at the front and back - where I usually lay with my head. 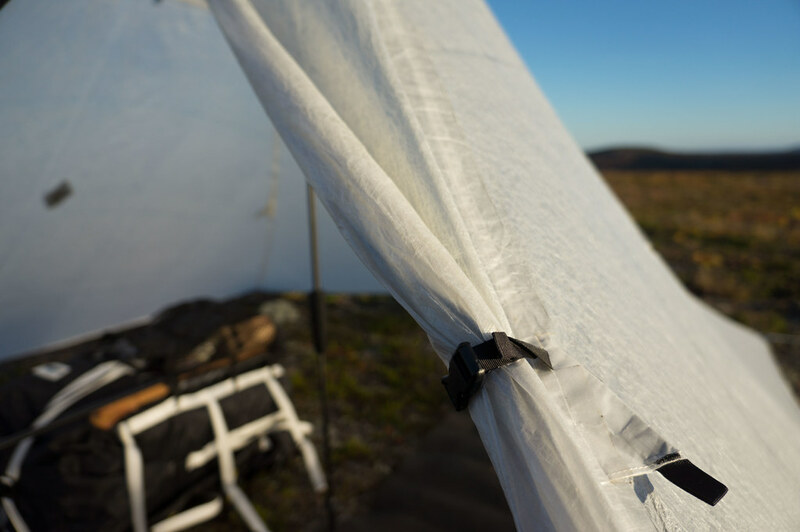 For me a D-Ring or similar there would make hanging a bivy or mosquito net a lot easier, now it always involves a bit of fiddling around. 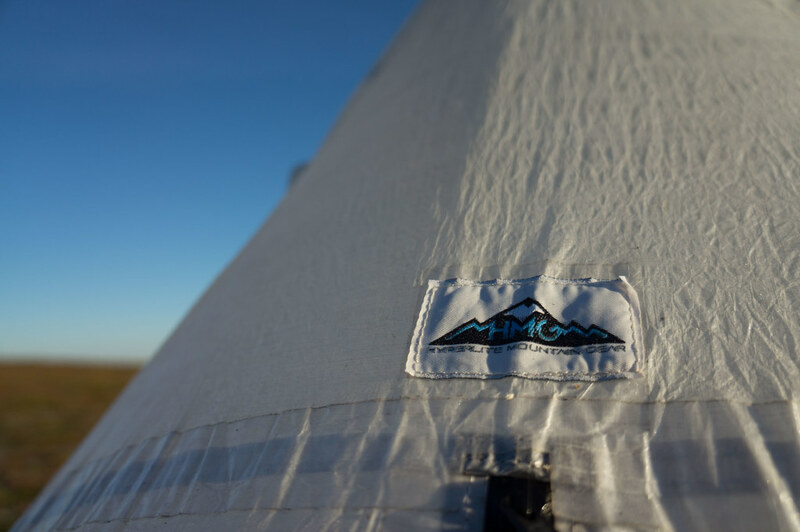 If you’re the kind of person who likes to sleep in an inner tent, then you’ll probably want to ask Sean at OookWorks if he can make one for you until HMG comes around with their own. There are many pyramid shelters on the market: The LOCUS GEAR Khufu Sil which I like a lot, then there’s the MLD DuoMid & Oware Alphamid, the Black Diamond Mega Light Tent, the Bear Paw Wilderness PyraTent, the Lil’ Bug Out Shelter from Seek Outside and even the GoLite Shangri-La is Pyramid-shaped. 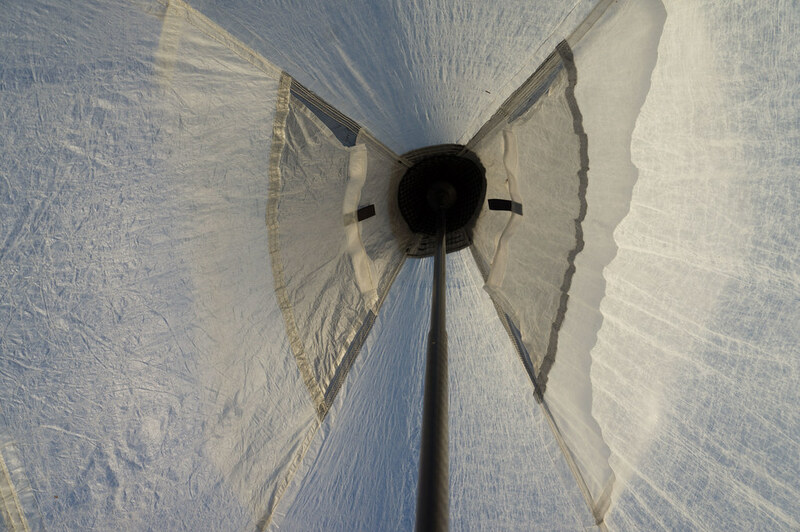 There’s much too like about the HMG UltaMid 2: It’s light, offers a fantastic amount of space, is very stable in high winds and is easy & fast to pitch. Did I mention that it offers a lot of space? No? OK, the main selling point for the UltaMid 2 will be the massive amount of space it offers. If you hike in wet weather and want to sit in comfort in your shelter in the evening, then the UltaMid offers so much space that you can invite your friends over to your shelter for drinks. And all the very tall hikers will also like this shelter, because finally they can sit inside a shelter without having their head bump into the walls. Now I’m not one of those very tall hikers, but I still enjoyed sleeping in the UltaMid, as did taller friends I loaned it to. Sure, there’s some knick-knacks: The packing can be fiddly, and you’ll want to take a pole that can extend in comfort to 160 cm or more. Sure, a pole jack as you could make yourself or buy can help with shorter poles, but it’s not a 100% good solution in high winds in my opinion. Packrafters will just use their paddles, skiers can use their skis in a an inverted V shape, or if you hike in the forest you’ll just look for a place where you can hang it via the top loop. 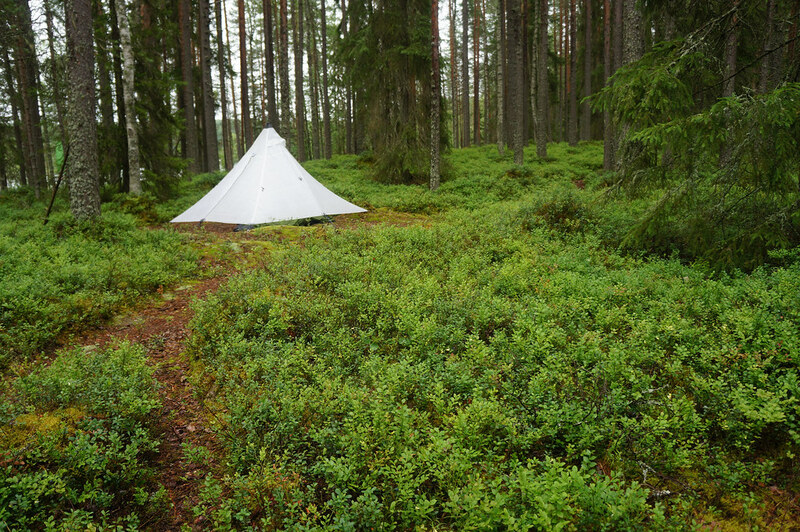 Also the price of $650 is not for small budgets, but then this is truly a four season shelter which will have you covered in all environments. For me it’s really a superb shelter that I love to take along. 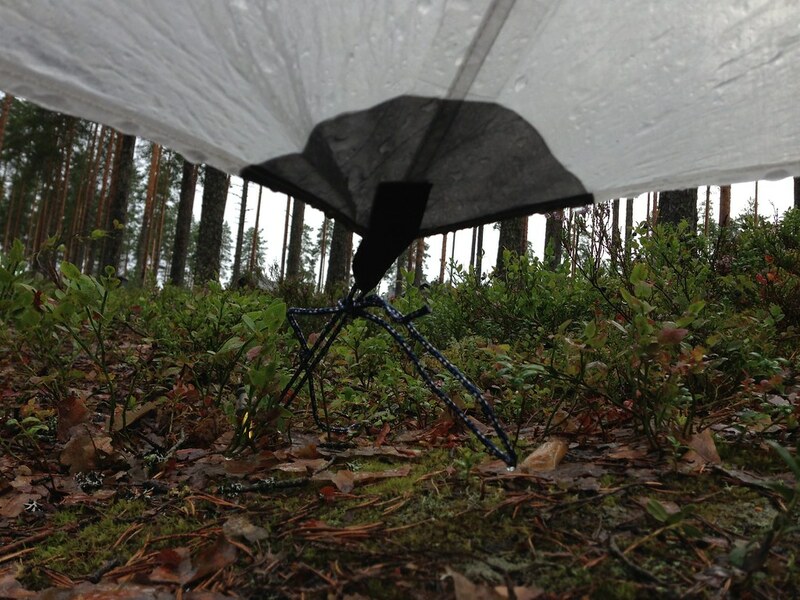 On guided trips it’s excellent to show my clients that there are sub-500 gram ultralight shelters which are durable, stable in the wind, easy to pitch and offer plenty of space. If that sounds like you’d enjoy it, get one! You can get the UltaMid 2 directly at Hyperlite Mountain Gear and I imagine the various ultralight webshops will offer it soon, too. How does it perform in the winter & snow? Disclaimer: I’m a proud Hyperlite Mountain Gear Ambassador and got the UltaMid 2 Prototype free of charge for testing.